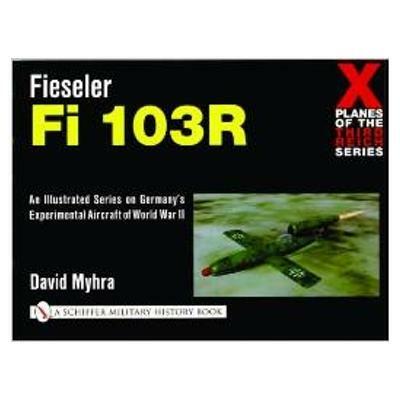 The Fi 103 V-1 was the world's first practical cruise missile. The manned V-1s, the Fi 103R - known as the "Reichenburg" - were developed as a measure to continue the use of the V-1s after the Allies destroyed the missile's launch sites. Only about 175 manned V-1s were constructed, converted from existing new V-1s yet not a single machine was ever flown against an Allied target because the program was canceled in October 1944. Here is the complete story. 11"x 8 1/2", Soft Cover, 96 Pages. Over 200 black and white and color photographs, drawings.